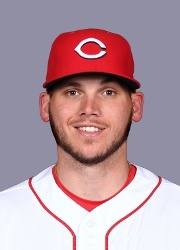 The Findlay Market Association is the proud sponsor of the 98th Opening Day Parade, and with the cooperation of the Cincinnati Reds, is proud to announce the Grand Marshal for this year's parade (start time of noon, from the market). Sean Casey is a graduate of the University of Richmond. Sean was drafted by the Cleveland Indians in the 2nd round of the 1995 amateur draft. Prior to the 1998 season, Sean was traded by the Cleveland Indians of the American League to our Cincinnati Reds of the National League for pitcher David Burba. Sean, who played first base, remained with the Reds from 1998-2005 posting a .305 batting average over those eight seasons. The first baseman led the team in hitting 6 times, was a 3 time All-Star (1999, 2001 & 2004) and was named the team MVP in 2004. Known for his intensity and enthusiasm, Sean was honored for those intangibles when he took home the Hutch Award in 1999 which is given to the player who best exemplifies the fighting spirit and competitive desire of Fred Hutchinson. One of the most popular Reds ever, Sean’s nicknamed is "The Mayor". During his 12 year career, Sean had 1531 Hits, 735 RBIs, 690 Runs and 130 Home runs resulting in his induction into the Reds Hall of Fame in 2012 (along with Dan Driessen and John Reilly). Rookie Davis will appear courtesy of the Cincinnati Reds (position #14). Right-Handed Pitcher, Rookie Davis, was selected by the New York Yankees in the 14th round of the 2011 First-Year Player Draft out of Dixon High School in Holly Ridge, N.C. Davis, and Caleb Cotham, came to the Cincinnati Reds as part of a trade with the New York Yankees for Aroldis Chapman. In 2016, he spent time with both the Pensacola Blue Wahoos (AA) and the Louisville Bats (AAA). 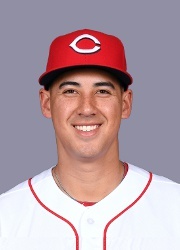 Robert Stephenson will appear courtesy of the Cincinnati Reds (position #14). Right-Handed Pitcher, Robert Stephenson, was taken by the Cincinnati Reds in the 1st round (27th) of the 2011 MLB June Amateur Draft from Alhambra High School (Martinez, CA). He made his debut, with the Reds, on April 7th, 2016, which resulted in a win with a strikeout over 5 innings. Anthony Muñoz will appear with the Anthony Munoz Foundation entry (#17). First-round draft pick by Cincinnati Bengals and third overall pick in 1980, Anthony played 11 years in the NFL and was enshrined in the Hall of Fame in 1998. He was named NFL’s Man of the Year in 1991, and his career as an All-Pro lineman earned him membership on the NFL’s 75th Anniversary All-Time Team in 1994. In 2010, he was ranked No. 12 on the NFL Network's Top 100 players list and was the highest-ranked offensive lineman. In 2002, Anthony created the non-profit Anthony Muñoz Foundation, which works with Greater Cincinnati youth impacting them mentally, physically and spiritually. Since its inception, the Foundation has raised over $11 million for youth programs. Anthony and his wife Dede have two children, Michael (wife, Emily) and Michelle (husband, Luke Trenz), and 8 grandchildren, all living in the Cincinnati area. He is a true family man, who also stays active in the community, sharing his persistent message to overcome adversity and give back. The former Cincinnati Bengals star has logged two decades of high-profile charitable work and youth advocacy since retiring from the game in 1992. A true hometown hero, Anthony continues to give his time and dedication to serving the youth of Greater Cincinnati. For more information, visit the Anthony Muñoz Foundation's website: www.munozfoundation.org. Willy Tea Taylor will appear with Washington Park American Roots Series entry (#42). Willy Tea Taylor grew up in Oakdale, CA. Known as the “Cowboy Capital of the World”, Oakdale is still Willy’s home and the setting for many of his songs. Despite coming from a long line of cattlemen – Willy’s first love was baseball. As a catcher, he had a gift for the nuances of calling a game from behind the plate. When a knee injury ended his ability to catch, Willy turned his attention to music. Otis Williams of Otis Williams and The Charms will appear with the King Studios entry (#56). Otis Williams was born and raised in Cincinnati. 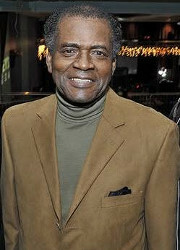 He attended Withrow High School and graduated in 1954. His band "The Charms" were formed at Withrow High, who went on to great heights, scoring 2 gold records and 9 hits, including "Hearts Made of Stone” and "Ivory Tower". Also along with their King label mates such as Hank Ballard, Little Willie John, the Mascots (later to become the famed O'Jays), the group worked with such artist as Count Basie, Diana Washington, Dizzie Gillespie, Johnny Mathis, Jackie Wilson, The Four Tops, Frankie Avalon, Frankie Valli and many more. Otis was a part of the first all-black Revue to work Carnegie Hall in NY w/the Allen Freed Revue. He wrote Pat Boone’s first popular hit record "Two Hearts Two Kisses", also recorded by Frank Sinatra and Dorris Day. Otis still performs and does seminars both locally and abroad. Justin Jeffre, of 98 Degrees, is a staunch advocate of the importance of Otis & The Charms and King Records in music history. Otis and his son, Kent, also are working diligently (along with the City of Cincinnati and the University of Xavier) to preserve the rich history of King and educate the public throughout, specifically our youth! At present there is a major movement to save the original King Records bldg., which is at the top of the list on saving its rich heritage for us all. Philip Paul will appear with the King Studios entry (#56). 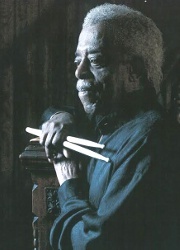 Drummer Philip Paul, the 2009 recipient of the Ohio Heritage Fellowship for Performing Arts, played on some of the greatest, most important records ever made including "Good Rockin' Tonight" by Wynonie Harris, "Fever" by Little Willie John, "Hideaway" by Freddie King and "The Twist" by Hank Ballard. All those records were recorded for the legendary Cincinnati record company, King Records, where Paul served as the in-house drummer from 1952 through 1964. 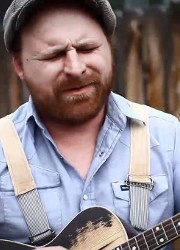 In addition to his extensive session work with King, Paul worked for years as one-third of the Roy Meriwether Trio, recording a pair of albums with Meriwether on Columbia. He also toured with jazz artists including Jimmy Smith, Nat Adderly and Herbie Mann and toured the U.S. and Canada with George Weins Newport Jazz All-Stars. Philip Paul made his first album as a leader in 2003, the aptly named It's About Time. In 2002, he received a Lifetime CAMMY Award from the Cincinnati Enquirer for his contributions to the music and culture of Cincinnati. Kaitlyn Baker will appear with the Cincinnati 911 Steel entry (#85). Kaitlyn Baker’s music reflects the beauty of the Cumberland Mountains and the ruggedness of the coal mining region where she was raised. The 21-year-old singer/songwriter from Pound, Virginia, has been called a new "coal miner's daughter." 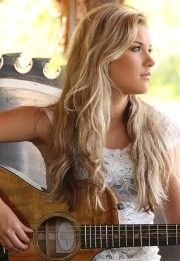 Named one of “Country Music’s 15 Brightest Rising Stars.” Her credits include opening for Travis Tritt, Rhonda Vincent, Billy Currington and other popular artists. She has performed on the nationally syndicated public television concert series "Song of the Mountains." Her song “Coal Train” was included in the 2015 Academy of Country Music (ACM) Awards ZinePak, a 2-CD album that debuted at #4 on Billboard’s Country Albums chart and remained in the Top 10 for three consecutive weeks. Tom Browning will appear with the Federation of Lutheran Churches of Cincinnati (#114). 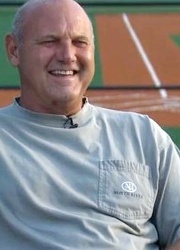 Tom Browning, the Cincinnati Reds' ninth-round pick in 1982, went 20-9 in 1985 to become the first major-league rookie to win 20 games in 31 years. 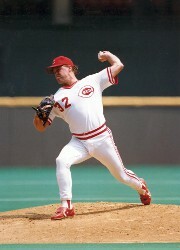 Tom posted double-digit win totals from 1985-'91, and on Sept. 16, 1988, pitched the only perfect game in Reds history. During Cincinnati's championship season in 1990, Tom won 15 regular-season games and picked up pivotal victories in Game 2 of the NLCS and Game 3 of the Reds' World Series sweep of the heavily favored Oakland A's. In 1991 he was named an NL All-Star after a 10-4 start to the season. Tom's career was ultimately cut short when he broke his arm delivering a pitch in 1994. He finished his career with a 123-90 record, 3.94 ERA and 1,000 strikeouts. In December 2005, he led fan balloting wire-to-wire to earn a 2006 induction into the Reds Hall of Fame. His book, "Tom Browning's Tales from the Reds Dugout", debuted in March 2006 and chronicles and his entire career. FC Cincinnati will appear with the FC Cincinnati entry (#118). FC Cincinnati will be represented by head coach Alan Koch, captains Austin Berry and Kenney Walker and the entire 2017 roster in this year’s parade. FCC staff and Supporter Group members from The Pride, Die Innenstadt, Bailey Bastards and Queen City Mafia will also participate in this year’s parade. FC Cincinnati is excited to join in the celebration and support of Opening Day for all of our friends at the Cincinnati Reds! 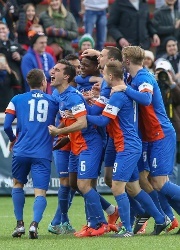 FC Cincinnati will kick off its second season in the United Soccer League (USL) with three home games taking place during “Opening Week” on April 15 against St. Louis, April 19 against Tampa Bay and April 22 and rival Louisville . For more information on tickets and the club’s promotional schedule, visit FCCincinnati.com or call 513-977-KICK (5425). Ron Oester will appear with Mike's Carwash entry (#133). A Cincinnati native and 1974 graduate of Withrow High School, second baseman Ron Oester played his 17-year professional baseball career in the Cincinnati Reds organization, including 13 years at the Major League level. Selected by the Reds in the ninth round of the 1974 amateur draft, Oester made his Major League debut in 1978 and began making regular appearances in the Reds lineup in 1980 when he appeared in 100 games and finished fourth in voting for the National League Rookie of the Year Award. In 1981, Oester enjoyed the first of six consecutive seasons as the Reds starting second baseman, a streak that was interrupted by a major knee injury he suffered in July of 1987. 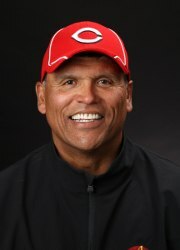 He won Major League Baseball's Hutch Award in 1988 after his successful return to the Reds everyday lineup. In his final season in 1990, Oester was a key player off the bench during the Reds World Championship season and scored the winning run in the Reds pennant-clinching game over the Pirates in Game 6 of the 1990 NLCS. After his playing career, Oester spent six seasons with the Reds as a Major League coach. He remains a Cincinnati resident. Scott Williamson will appear with the Therapeutic Recreation for the Disabled entry (#144). In 1997,Oklahoma State’s pitcher Scott Williamson was drafted by the Cincinnati Reds in the 9th round. Scott soared through the Reds Organization, going from Rookie Ball in 1997, to starting the next year in AA and finally ending up in AAA the same year. The following year, on April 5, 1999, Scott made his major league debut with the Cincinnati Reds. He was voted to the 1999 All Star Team, named 1999 Rookie of the Year, and finished the season with 12 wins, 19 saves, and era 2.41 as a relief pitcher. In 2003, Scott was traded to the Boston Red Sox and ended up setting Red Sox record for 3 saves in the ALCS. In 2004, Scott and the Red Sox went on to break the infamous 86 year curse of the Bambino, and to become 2004 World Series Champions. Scott went on to play for the Cubs, Padres, and Orioles. Scott’s passion for the game continues as he spends his time working with kids in the Greater Cincinnati area helping them develop there baseball and life skills. When presented with the opportunity to be involved in a Foundation that is named for man who meant so much to him as a player and a person, Joe Nuxhall Miracle League, Scott didn’t hesitate to jump aboard and portrayed the same excitement as if he was winning the World Series again. With all of his accomplishments and rewards that he earned in his career, none of them would even equal, the one of him being an instrumental part of one of the Miracle Leaguer lives. Scott continues to live in Cincinnati along with his wife Lisa, and children Reece and Cambrie. Watch for The Scott's Reds Rally Pack and The Reds Mascots: Gapper, Rosie Red, Mr. Red and Mr. Redlegs! Rosie Red will be in position #20. The Rally pack with the Mascots will be in position #25. The Scott's Reds Rally Pack has participated in the Opening Day Parade for the last 14 years. 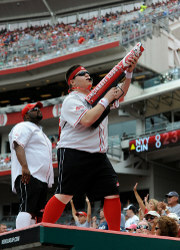 At Great American Ball Park they are responsible for spreading joy, and free tee shirts, to fans throughout the season.